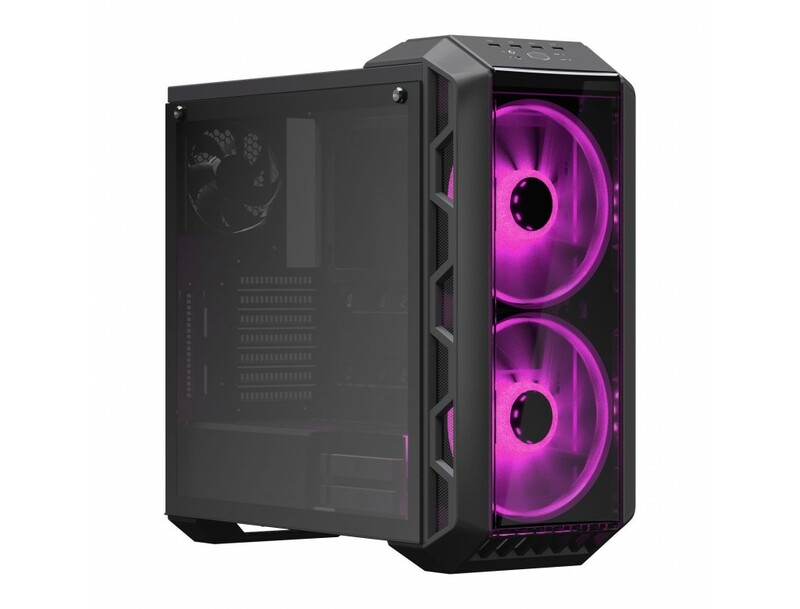 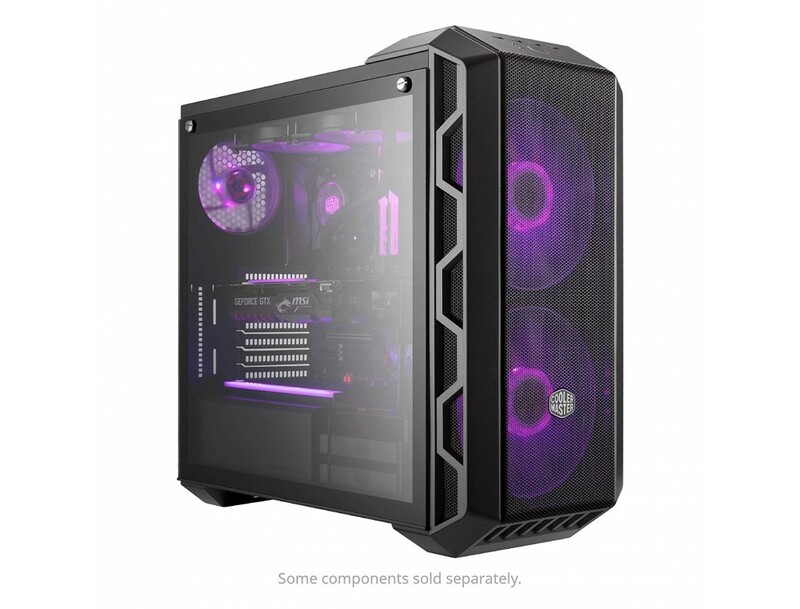 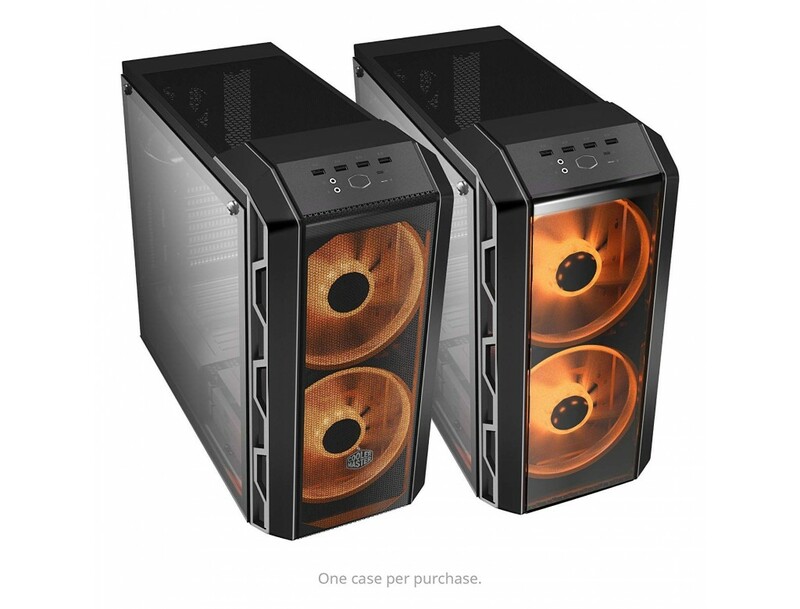 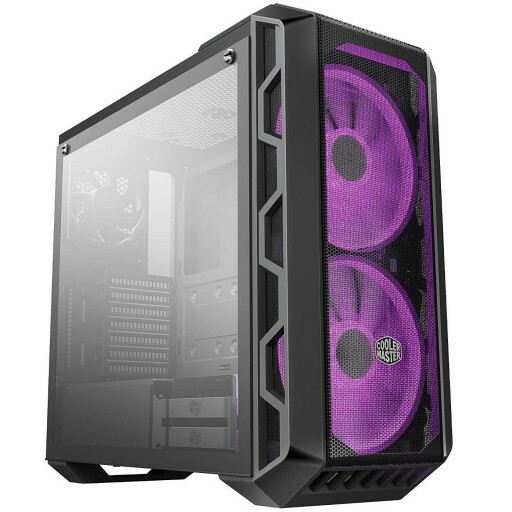 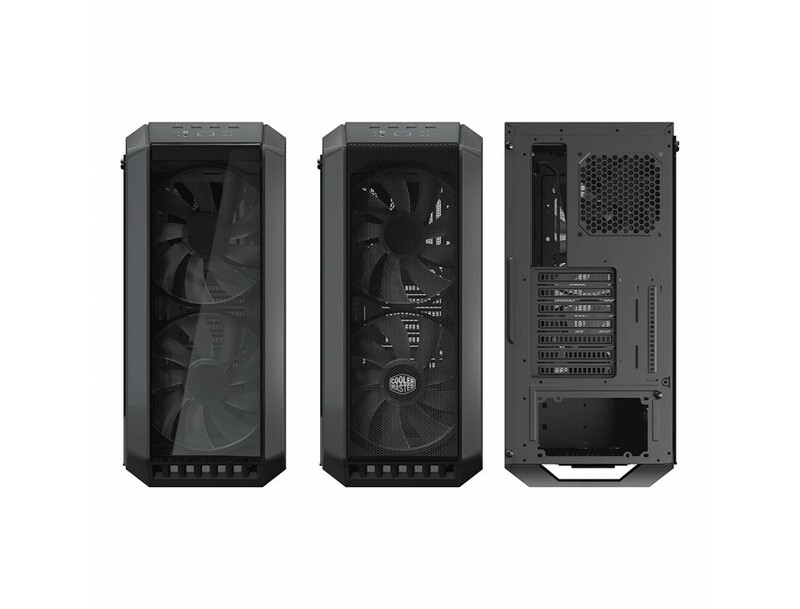 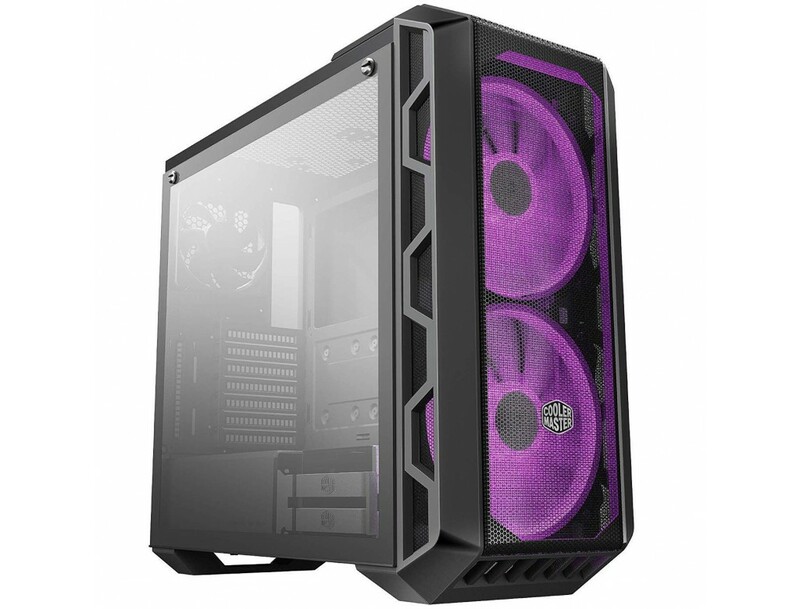 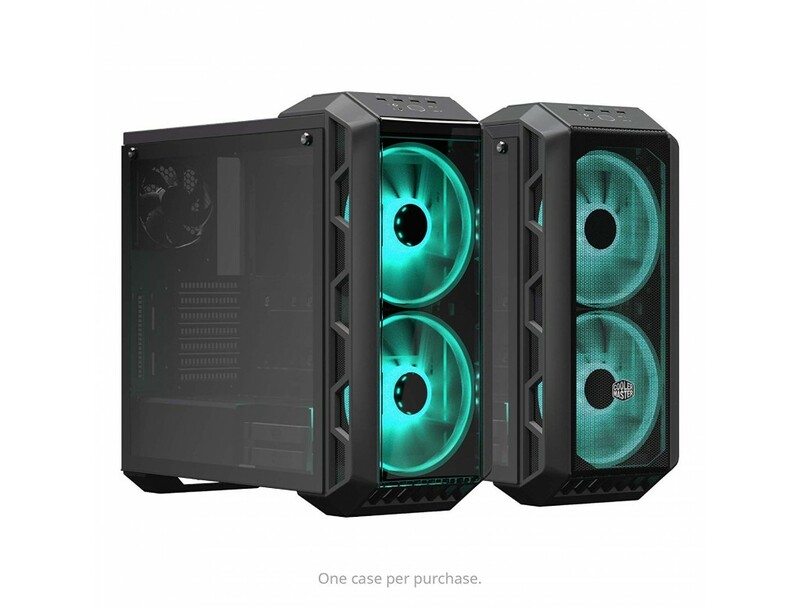 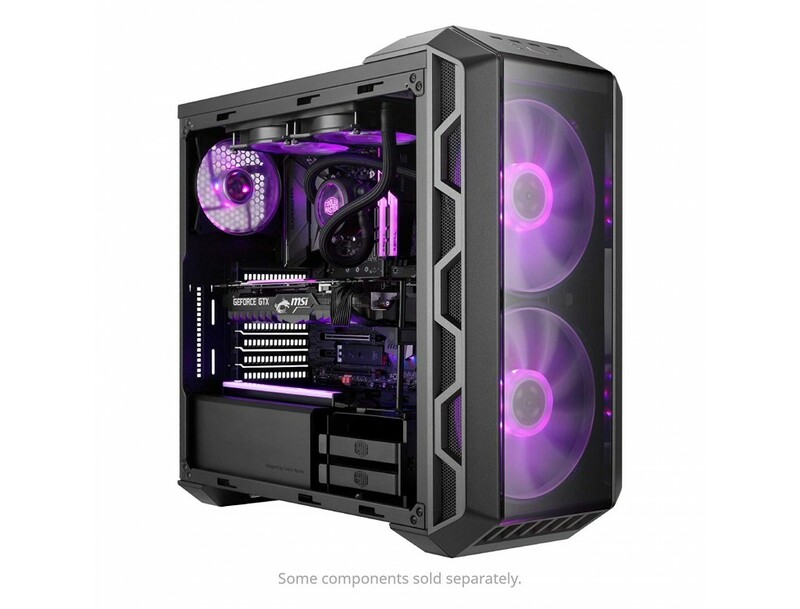 Mesh and Transparent Options Included - Choose between the transparent front panel for aesthetics or run full mesh for optimized airflow with the included accessory. 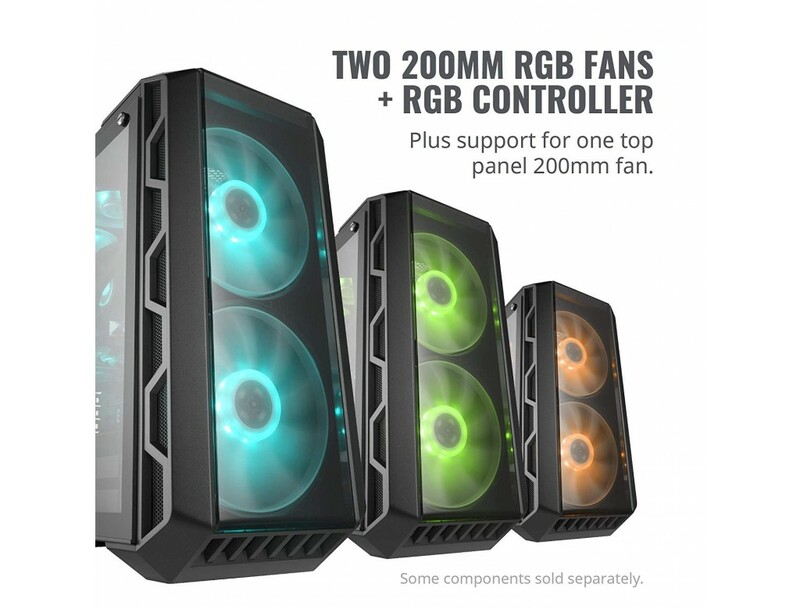 Two 200mm RGB Fans With Controller - Managed by an included RGB Controller, two 200mm RGB fans come pre-installed with support for one optional 200mm fan on the top panel. 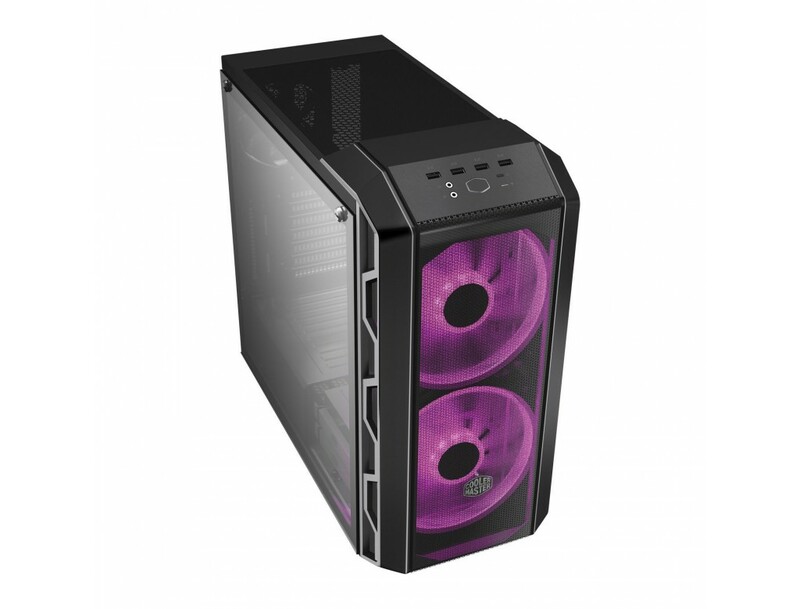 Radiator Support - Up to 360mm radiator support in front and 240mm in back also includes native support for Cooler Master's 200mm radiator. 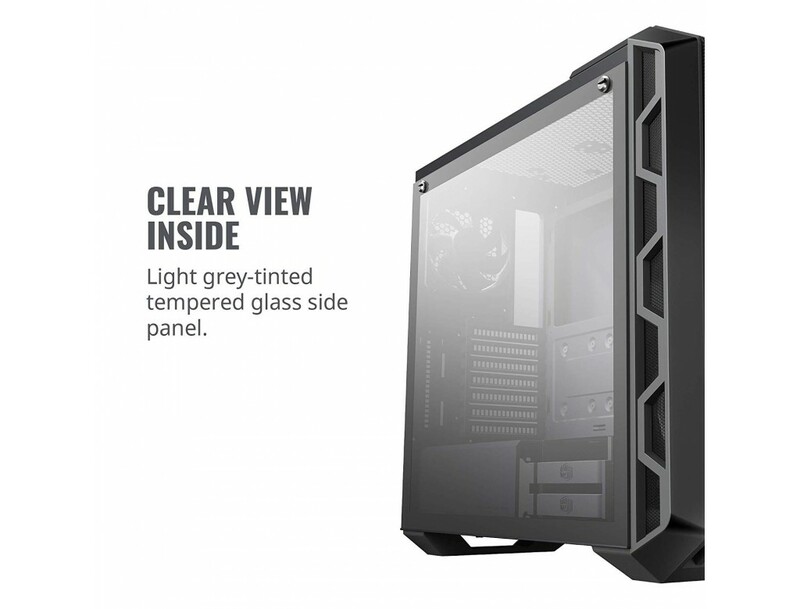 Clear View Inside - A light grey tinted tempered glass side panel is ideal for showcasing your build with (RGB) lighting. 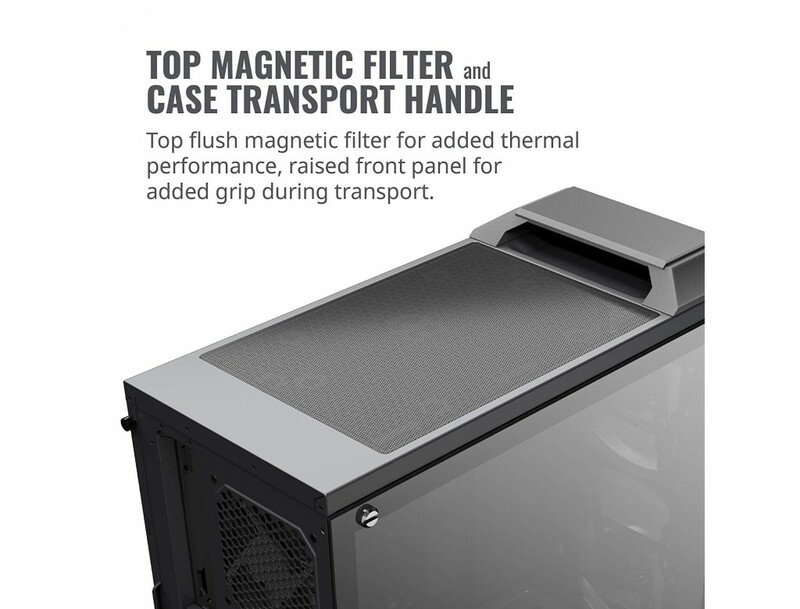 Top Magnetic Filter - Air passes through a flush magnetic filter on the top panel for added thermal support. 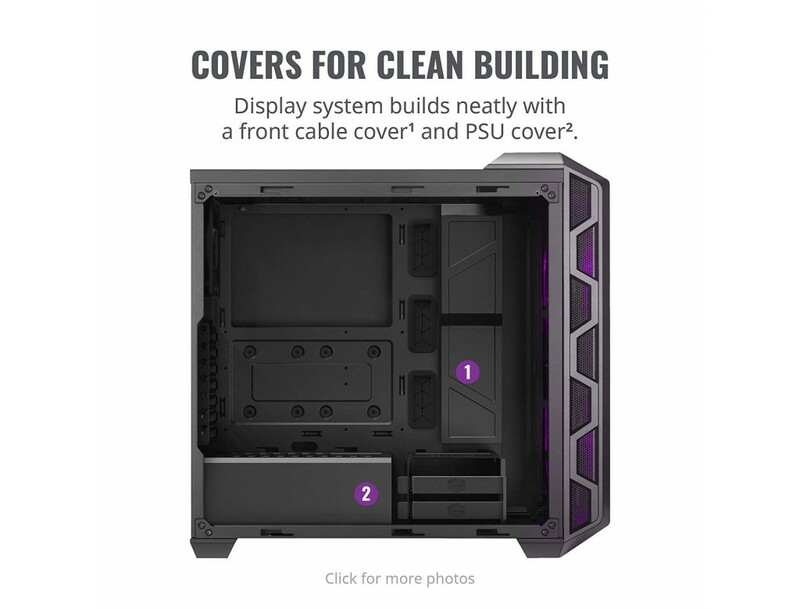 Covers For Clean Building - Display system builds neatly with a front cable cover and PSU cover. 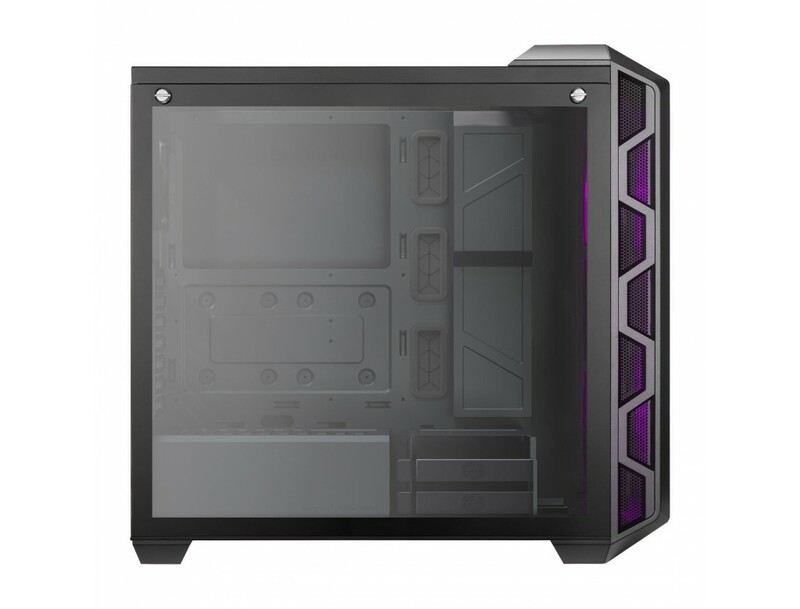 Case Handle For Transport - The raised front panel covers a portion of the top panel to act as a handle for transport.